If you are in Santa Barbara county and looking to spend the day checking out some fabulous wines, be sure to stop by Fess Parker Winery and Vineyards. This winery produces a variety of wines and offers tours and tastings as well. The winery has three vineyards to produce their grapes making each wine the highest quality possible. When visiting the winery, expect to find grassy lawns surrounded by mature oak trees and a veranda with tables and chairs as well as picnic tables. Another draw to this winery is its appearance in the movie Sideways. One of the scenes was filmed at this winery. 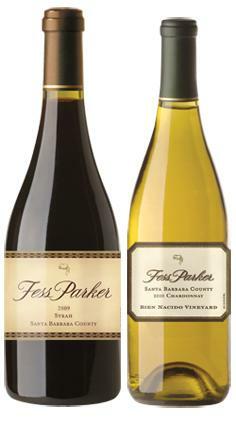 Fess Parker offers tours and tastings for groups and individuals. The tasting fee is $12 per person and group reservations are $15 per person. Included in each tasting are a Reidel logo glass and a sampling of six different wines. Wines to be tasted include Chardonnay, Viognier, Pinot Noir, and Syrah. VIP tours and tastings are available by appointment only. These are offered at $25 per person and include tasting the more limited wines, such as those from Rodney's Vineyard. Fess Parker also offers a tour and tasting paired with food. This cost $40 per person and a reservation of four or more people is required. Tastings are offered to those 21 and older only. The Tasting Room is open Monday thru Sunday from 10 a.m. until 5 p.m.
You can join the Fess Parker Wine Club to receive a selection of wines as well as the quarterly newsletter and event calendar. Members of the club receive a 20% discount on purchases. You can specify the type of wines you are interested in for your shipments. Members can receive all white, all red and even a mix of both. You can also shop for gourmet items, Fess Parker memorabilia, wine gifts and books. Fess Parker Winery and Vineyard is located at 6200 Foxen Canyon Road, Los Olivos, CA 93441. You can call them toll free at 800-841-1104 or email them at infowinery@fessparker.com.